Recent years have seen the emergence of far-reaching trends in technology that enable us to re-think our relationship with the environment and the way we work and live. During this period, world leaders ratified the United Nations’ 17 new Sustainable Development Goals (SDGs), and in 2015, at the annual Conference of Parties (COP21) in Paris, agreed to limit global warming to significantly less than 2°Celsius. COP21. This has brought sustainability back to center stage. It’s now time to take the next step! The new openSAP course “Sustainability Through Digital Transformation” explores how companies can, and in part already are embracing the opportunities that are arising. It shows how IT and digital technologies help create positive economic, social, and environmental impact while addressing global sustainability trends. In this course, you’ll learn about the evolution of sustainability within organizations in the areas of integrated reporting, social and environmental impact creation, and responsible investment. You’ll become familiar with new sustainability frameworks, including the SDGs, and gain an understanding of how digitization can enable companies to become more successful while contributing to achieving the SDGs. The course is now open for enrollment. Updates will be sent once you’ve enrolled. Welcome to our “Sustainability Snippets”, a new podcast series on topics related to business and sustainability. On the 15th of each month we will publish a new episode. Subscribe using the link below. Digitization is the word on everyone’s lips. Businesses, governments, and other public organizations are busy trying to define their own digital roadmap. But how is this connected with sustainability? Events like the United Nations Conference on Climate Change in Paris or the World Economic Forum in Davos made it clear that if businesses want to survive, they have to learn how to become sustainable. And digitization plays a key role in enabling this. “Sustainability through Digital Transformation” allows you to explore the opportunities digitization offers to further drive sustainability. The course shows how the power of technology can help companies become more successful and at the same time contribute to the United Nations Sustainable Development Goals. Together, we’ll explore opportunities to master the “Fourth Industrial Revolution”. We’ll look at examples of how to leverage digital innovation to transform industry sectors, including health, mobility, financial services, and education for the better. No development systems are required for this course. Christine Susanne Müller joined the sustainability core team in 2012 as transformation and change manager for sustainability. She is responsible for coordinating and executing all change activities, programs, and projects related to SAP's sustainability goals from a holistic change perspective. Since 2001, Christine Susanne has worked in various change management and communications roles at SAP on a local, regional, and global level. 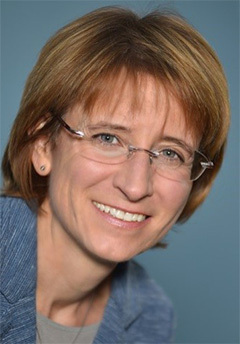 Ulrike Fritz-Welz is a technical writer and knowledge transfer specialist with much experience in creating and operating Massive Open Online Courses. 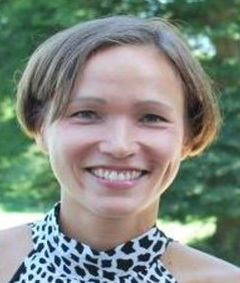 She was among the first members of the openSAP team. After years of private commitment to environmental protection and sustainability, she now makes her passion the focus of her professional life. This course was held from Apr 13, 2016 through May 12, 2016. Dr. Barbara Flügge heads the initiative on empowering ecosystems at SAP. Her focus is on ecosystems embracing business and service opportunities for public and private organizations. Barbara leads the Smart Logistics and Smart Mobility team, designing seamless mobility and digital service models. Daniel Schmid was appointed chief sustainability officer at SAP in 2014. Since 2008, he has been engaged in transforming SAP into a role model of a sustainable organization, establishing mid and long-term sustainability targets. Linking non-financial and financial performance is a key achievement of Daniel and his team. His focus has now extended towards the wider impact of SAP’s business activities.